Total mass of 35 Kg. Maximum height 95 cm from the ground. Cooking surface height 90 cm max. 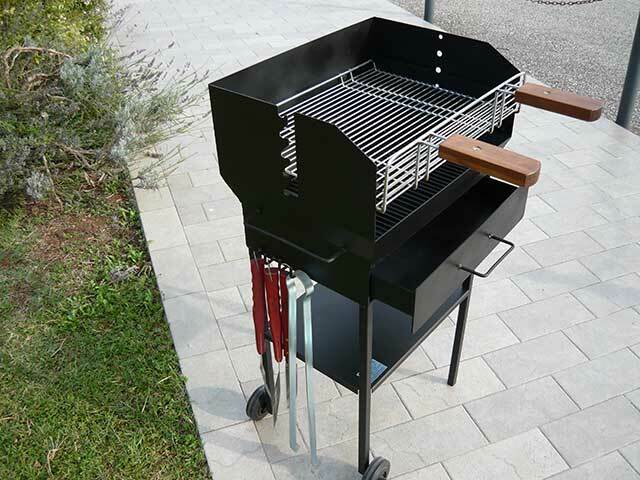 The smallest model of barbecue (grill) made by Metalmeccanica AFB (barbecue artisans) is the VENERE, which has a useful cooking surface of about 50 × 40.cm with 3 different cooking heights. This model comes from the design of 2 wheels and two lateral handles that make transport much more comfortable and manageable. Made entirely by hand, it is very useful for family barbecues and small camps, thanks to its ash collection tray allowing for quick and easy cleaning. 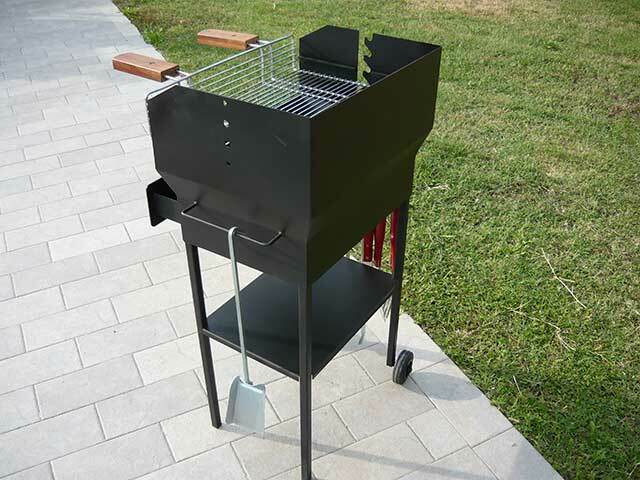 The VENERE barbecue model comes with the work kit (fire shovel – grill pull -tongs — meat fork-knife – meat spit). 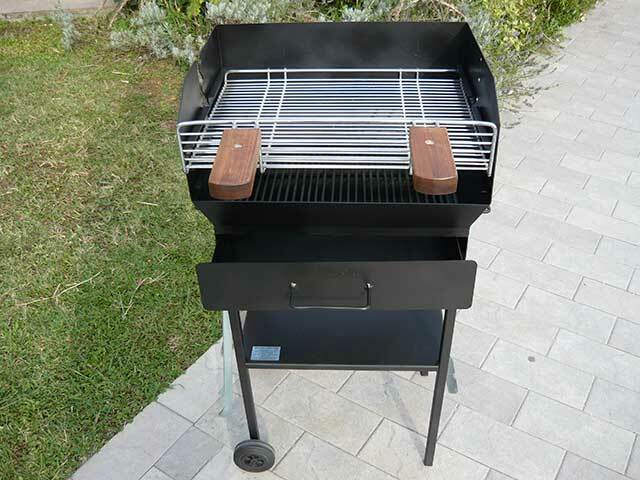 This model of barbecue (grill) is also suitable for use of a single spit roaster interchangeable with a cage skewer (see photo) on end of which are anchor grooves and register allowing its application.